When it comes to remodeling your home, projects take on many different forms. In some cases homeowners may only need a bathroom remodel or kitchen remodel. Other times a full home remodel is desired including living rooms, bedrooms, and even outdoor patios. ICN has the experience and knowledge to complete any remodeling project, regardless of the size or scope of the project. We’ll begin with an estimate and work closely with homeowners to make sure every detail and request is attended to professionally and in a timely manner. If your home remodel is a result of water, fire or wind damage, we will work directly with your insurance company to ensure that whatever is replaced or repaired is covered under your policy. 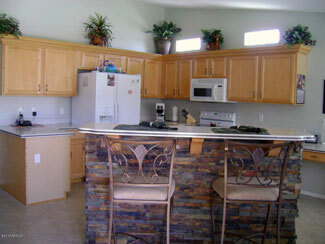 Remodeling your home or even a room is how you add value and beauty to your home and property. We understand how important it is that remodeling jobs are performed correctly and meet the specs of the project. ICN works closely with you to insure your vision for the home remodel project becomes a reality. When considering hiring a contractor for your remodeling project, experience is a key factor. ICN’s owners have a combined 45 years experience in planning and completing remodel and construction projects. While every remodeling project comes with unexpected challenges, our professional crew of planners and remodelers are confident we can meet those challenges and make sure the job is done right! Our skilled professionals have a great deal of experience in replacing or repairing cabinetry, flooring, plumbing, ceilings, countertops, showers, sinks, patios and many other home remodel projects. Independent Contractors Network will also work with your schedule and provide a realistic time-frame for project completion. We know your time is valuable, so we make every effort to ensure that any job is completed on-time. 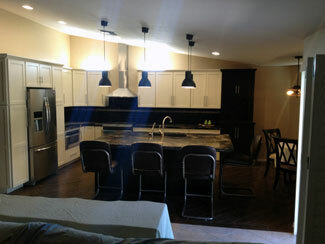 If your ready to modernize your home with a remodeling project, contact the experts at ICN today!